Haddon Heights High School. Credit: Matt Skoufalos. District officials and local authorities throw cold water on non-specific rumors of violence against borough school. NJ Pen Police and Fire News is Proudly Sponsored by Independent Alarm. Click for more. Haddon Heights Public Schools Administration Building. Credit: Matt Skoufalos. 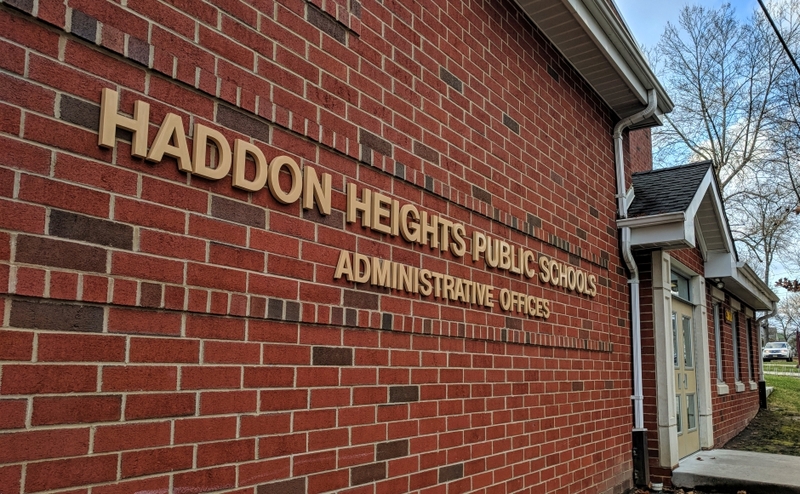 Rumors of imminent violence sent Haddon Heights police and school officials scrambling to investigate an alleged, non-specific threat against the district junior-senior high school this week. Fortunately, and after extensive legwork, authorities found no evidence of any imminent danger to the district, its staff, or students. “We conducted due diligence, we investigated every lead that was provided, and found no evidence of this being credible,” said Haddon Heights Police Chief Michael Scardino. However, as a precautionary measure, the chief stationed additional officers at borough schools on Thursday. 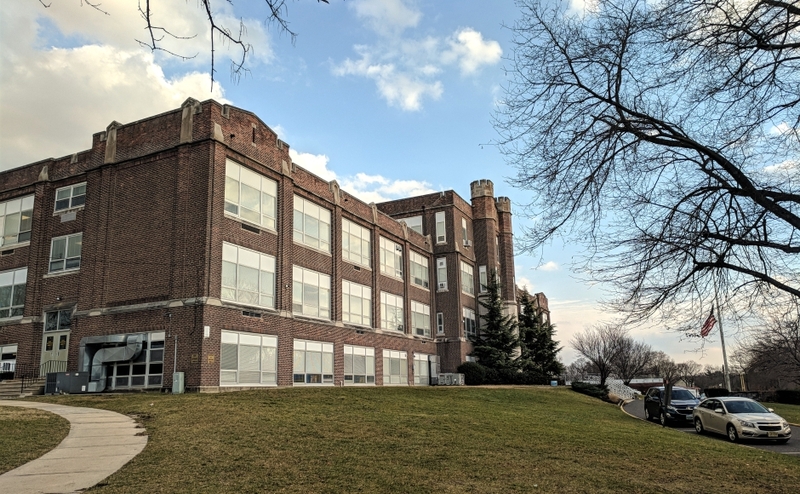 According to Haddon Heights Superintendent Michael Adams, the alleged threat had been discussed among students at the junior-senior high-school since Monday, April 8, and was supposed to have taken place the following day. In a series of messages sent to district parents on Wednesday, Adams noted that “officers were unable to identify the source of the threat, the manner it was supposed to occur, or any potential suspects. In a follow-up message Thursday morning, Adams reassured the district that the local police department still deemed the incident to not be a credible threat. 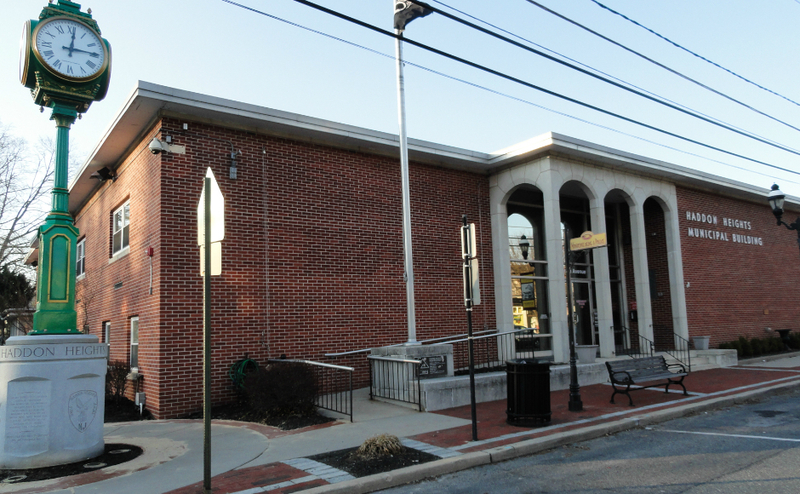 Haddon Heights Municipal Building. Credit: Matt Skoufalos. Scardino thanked parents for notifying officials, and encouraged them to contact police whenever they get word of concerning activity, including School Resource Officer David Bauman, who is posted in the junior-senior high school daily. “I appreciate that we got the call,” Scardino said. A similar incident occurred recently in the Collingswood school district, when some students misinterpreted a peer’s planned music release as a threat of violence. Neither occurrence has resulted in any attack, although social media churn accelerated the spread of both rumors.